When did we get the U.S. inspector general offices as watchdogs within our federal agencies, and what is the purpose? 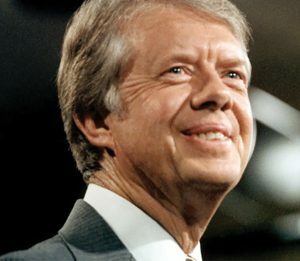 President Jimmy Carter signed the Inspector General Act into law on October 12, 1978, to address “fraud and mismanagement and embarrassment to the Government” at a time when we had advisory commissions and offices for public integrity within various departments, but over time a bipartisan consensus was reached that we needed a more formal approach to problems of incompetence, waste, corruption, and other illegal activity. It establishes 12 Inspectors General who will be within the agencies involved, the 12 major agencies. They will be appointed by me. They will be confirmed by the Senate. They will come under the Hatch Act to prevent any politicization of the functions. They will make their reports to the Attorney General if law violations are involved. They’ll make frequent, periodic reports to the head of the agency. They’ll make reports to the Congress. When they make a report directly to the Congress, the head of the agency cannot modify that report in any way. The head of the agency can append comments. These Inspectors General will be responsible for auditing, and they will be responsible for investigating any allegations of fraud or mismanagement. In addition, there is a provision in the bill that protects whistleblowers. If someone comes from within the agency, meets with the Inspector General, reports something that’s a violation of the law or an example of gross mismanagement or waste, the Inspector General has the authority to protect the identity of that person, if that person so requests, to make sure that there is no punishment inflicted on that person who brings attention to the public of mismanagement or fraud…..